RESEARCHERS: We manufacture highly pure, highly active human proteins for studies of inflammation, autoimmune disease, cancer, coronary disease, Alzheimer’s Disease and more. PHARMACEUTICAL SCIENTISTS: We are a sought-after partner, expert in the purification of human proteins from plasma, erythrocytes, neutrophils, and other tissues. We are also accomplished in the purification of proteins from other species and in the preparation of biotherapeutics for proof-of-concept studies in animal models. DIAGNOSTIC MANUFACTURERS: We provide protein components for diagnostic kits, screenings, and cell culture media. 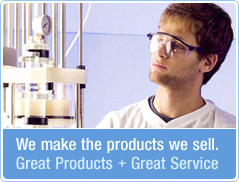 CALIBRATOR & CONTROL MANUFACTURERS: A source for bulk quantities of proteins you need for your standards.